Sparkle Up Your Knitting, Clover Interchangeable Needles and the Beautiful Bayou Butterfly Shawl has Arrived. What's New, Hot and Just In! The Beautiful Bayou Butterfly Shawl has flown in for Spring Knitting! Light and airy this gorgeous shawl is breathtaking and fun to knit! 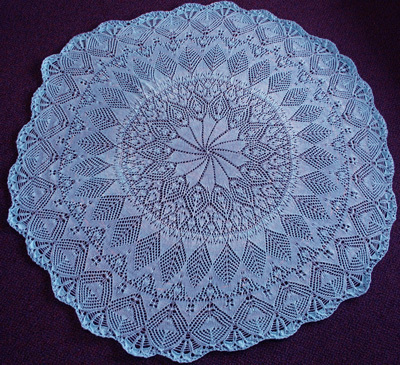 The Bayou Butterfly Shawl is worked in the round from the center outwards and features a unique butterfly stitch. This shawl is knit on using US 6 and 8 and works up quickly using two skeins of Ivy Brambles Superwash Merino Romantica Yarn. Sparkle for your knitting! Creative Fiber Artists Stitch Ring Markers have arrived and are beautiful! Many designs to choose from, these beautiful markers come in sets of five silver plated stitch ring markers with a different row beginning marker in each set. Hand-made in the USA from crystal, glass and natural beads, these markers fit all needle sizes up to size US 15 (10 mm). These markers will make great Mother's Day gift's as well! Need needles? Always! 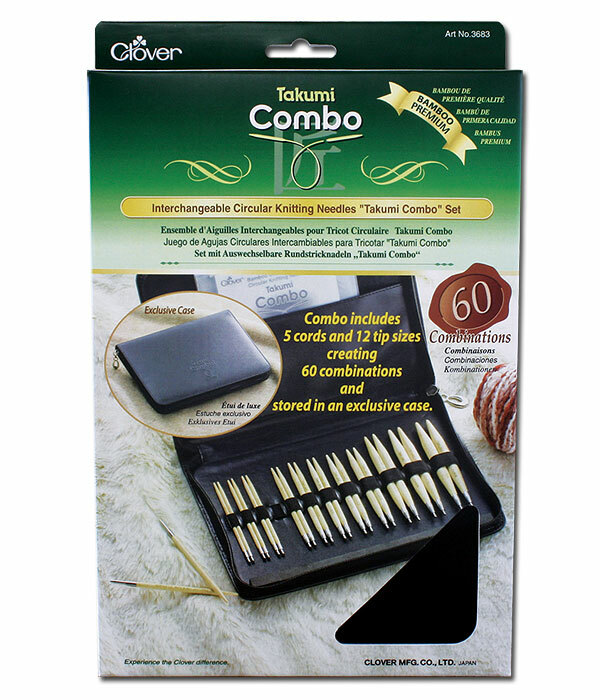 Just in and new to the market, Clovers New Interchangeable Circular Knitting Needles "Takumi Combo Set" Combine the assorted needles and cords included in this set to create 60 combinations of circular knitting needles... all the sizes you need to create a wealth of knitting masterpieces! Clover has combined perfect tapered tips, joint connection with a precision finish for a smooth connection for your circular needle. Stored in an exclusive luxury case. Each set includes 12 tip sizes: US No. 3, 4, 5, 6, 7, 8, 9, 10, 10.5, 11, 13, and 15 (3.5 mm through 10 mm) and five cord lengths: 16, 24, 29, 36 and 48 inches (40 cm - 121 cm). 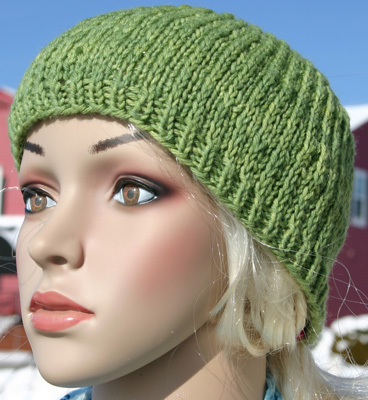 A must have for all knitters! Perfect case is small and light enough to fit in your knitting bag so you are never without the right needle size! Check this new set out today! Spring is upon us which means warmer days and cool nights! 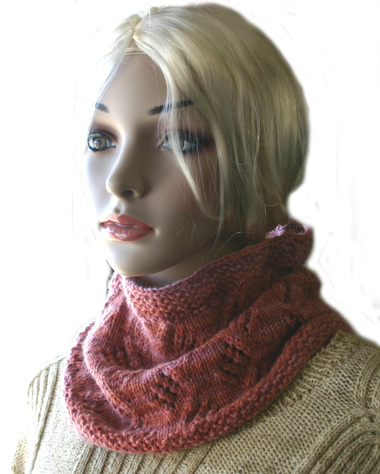 Stay warm in a new Diamonds Galore Neck Cowl featuring a beautiful and easy lace pattern and made using one skein of the Ivy Brambles 4 Ply Cashmere or the lovely Jade Sapphire 4 Ply Cashmere! Beautiful, soft and irrestibly warm, this is a must have cowl that easily fits in your purse during the warm part of the day and is then worm comfortably to keep the chill off your neck when the sun goes down! 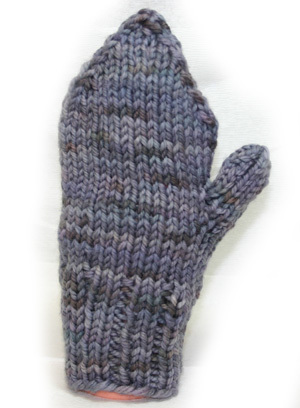 As promised, the Ivy Brambles Chunky Mitten pattern is now available! Fast and easy, these mittens are great for either a man or woman. 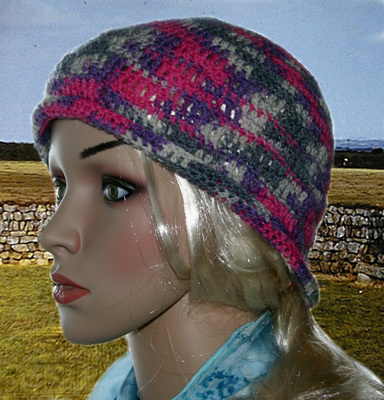 Knit in chunky yarn, they require only one skein of Ivy Brambles Superwash Chunky! 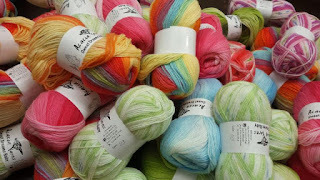 This yarn is beautifully hand-dyed and supersoft, superwash merino wool! A sure pleaser for all!